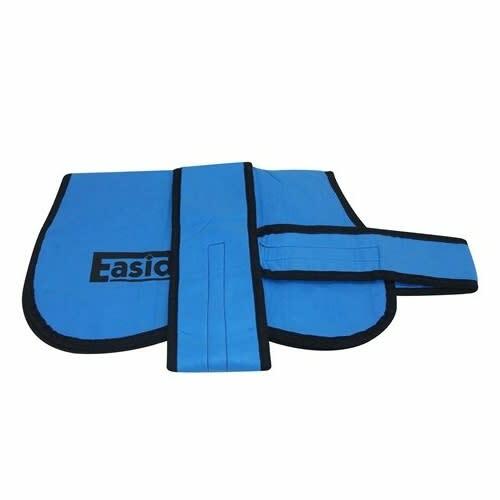 Easidri high performance is a super absorbent dog coat. Easidri has a unique cell structure which slowly releases its moisture, cooling your dog for hours. The coat cools as water slowly evaporates, use in hot weather to keep your dog cool and comfortable. Re-usable and machine washable, supplied in a ziplock bag always ready for use. It is tough and durable and resists tearing and shredding. Easy to fit with adjustable touch and close chest and stomach straps.